Outdoor Voices’ 2017 Black Friday Sale Announcement on Instagram. It’s here. The weekend brands count on to meet annual revenue goals and to (potentially) turn the red numbers black. Black Friday Weekend is unquestionably important to the financial health of companies and worth putting serious thought into the strategy. While Black Friday Cyber Monday (BFCM) may be best associated with larger retail stores such as Target, Best Buy, and Amazon, a number of niche and challenger brands have emerged and expanded upon the traditional BFCM rules. The following is an analysis of BFCM brand strategy with a list of considerations to consult when building out your own unique BFCM game plan. How do most of your customers interact with your brand (newsletters, social media, catalog, etc.)? Put the medium with the highest conversion at the forefront of your BFCM outflow. How many repeat customers did you have within the BFCM weekend last year? How important is this to you? How can you ‘wow’ your VIP customers and give them something special over the weekend? Are there like-minded brands that you can partner with before BFCM for a giveaway in order to increase email subscribers? This would give you a larger audience to reach out to when BFCM rolls around. Who are customers purchasing for on BFCM- themselves or for holiday gifting? would free gift wrapping be a good added value for the weekend? What is your value proposition for BFCM weekend? In 2017 both Reformation and Glossier released promo codes for 30% and 20% off respectively. Tiered sales (promo depends on the product or category i.e. 30% off T-shirts and 15% off Jackets). Outdoor Voices is slated to do this again in 2018. Charitable Giving (switching the weekend’s value proposition from increased savings, to increased impact. This year Everlane is donating $13 for every purchase received on Black Friday to the Surfrider Foundation). Note: If you go this route, be specific and tell customers the actual percentage of sales or dollar amount given to the charity. Nothing can unravel a well-intentioned charity campaign more than vagueness and perceived lack of transparency. A follow-up social media post or newsletter is a great way to remind customers of what you accomplished together and optimize brand resonance. Everlane did it well in a post here. Will you create an arc to your BFCM promos (build up each day to a higher discount?). 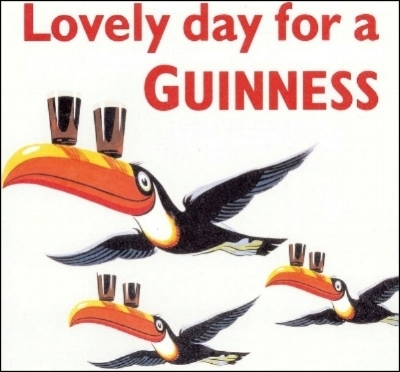 Note that customers could catch on that each day in the weekend gets ‘better’ and may delay their purchase until the end of the weekend, potentially undermining the strategy’s intent. How can you best build hype? Do you tease upcoming sales on social, but keep the actual promo private until the stroke of midnight on Thanksgiving? Do you work with your PR team to get an article in HuffPost elaborating on the exact details? How will you merchandise your website so that all users are aware of your BFCM campaign? (A striking number of brands did not include any mention of BFCM on their homepage even when they were running heavy sales in 2018. This is a missed opportunity. Do not confuse customers or make them go on a scavenger hunt in order to locate your sale page. Whether through a dedicated homepage banner, promo bar, or pop-up, put your campaign front and center). What is your back-up plan if sales do not go as well as expected? Do you change your outflow strategy and send more newsletters on Saturday if sales are less than expected on Friday? Do you change the promo completely? (Create a robust contingency plan). What are your customer service resources throughout the weekend? Will you have staff on-hand to help customers that may run into site or promo code issues? If you opt to have your customer service staff take the weekend off, it is best to preemptively warn your customers and set their expectations. Doen did this in their 2018 BFCM announcement post (pictured below). How will you handle customers that purchased an item the day before it went on sale that call to complain? Will you honor the sale price with the customer (even though the item was not on sale at the time of their purchase) in order to retain customer satisfaction? Discuss these questions at length with your team to configure a BFCM plan that is authentic to your brand and profitable for your bottom line. 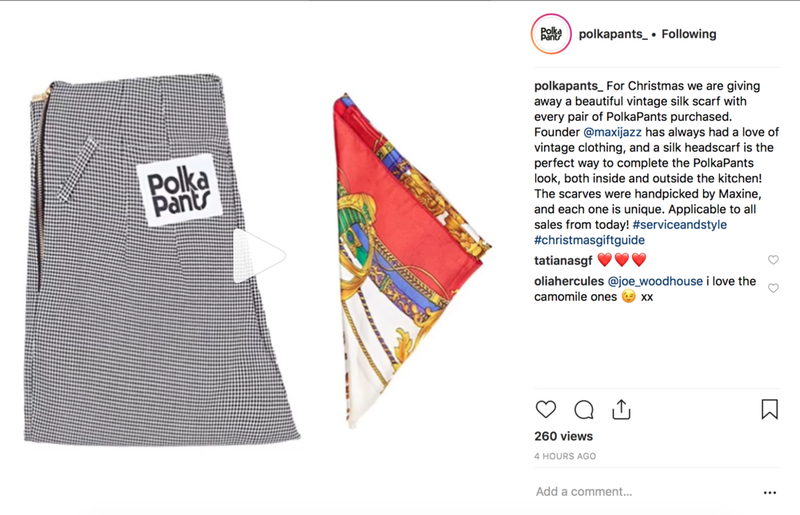 Polka Pants Holiday Gifting Promo for 2018. Stone Brewing’s Special Beer Offerings for the 2018 BFCM Weekend. AncestryDNA framing their service as a great gift for the family. Promo ends the day before Thanksgiving 2018. BFCM Email Popup on Missoma Site. 2018. Segment of Snowe’s newsletter. Sent the Monday before Thanksgiving 2018. Nobull’s Black Friday Collection Launch Campaign. Screen grab of their home page 11/20/18. Note the ‘RSVP’ CTA and Black Friday feature on the main navigation. 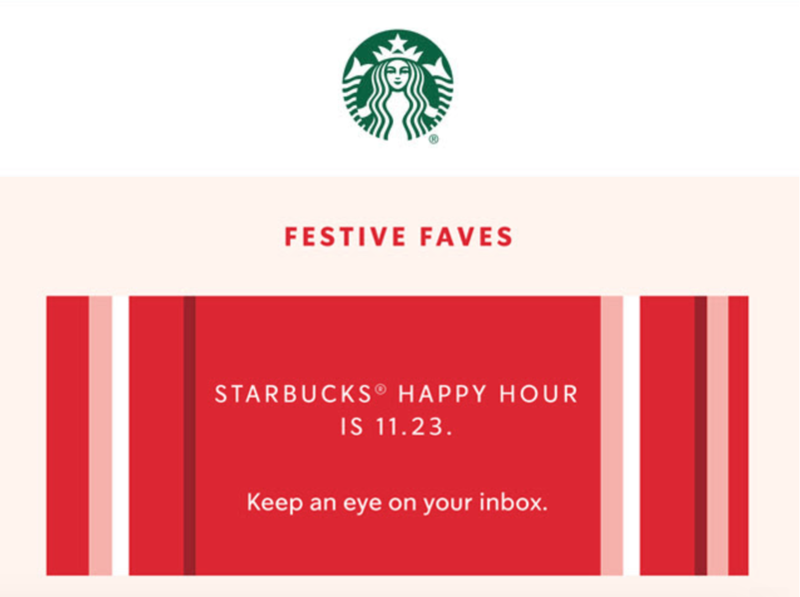 Black Friday teaser newsletter from Starbucks. Received 11/21/18. Doen Instagram post on Thanksgiving Day 2018. Note the mention of customer service limitations over the weekend, final sale policy, and charitable aspect to the sale. Instead of heavily discounting their products, Kule added value on BFCM 2018 by offering free monogramming over the weekend. Posted on Instagram 11/23/18. 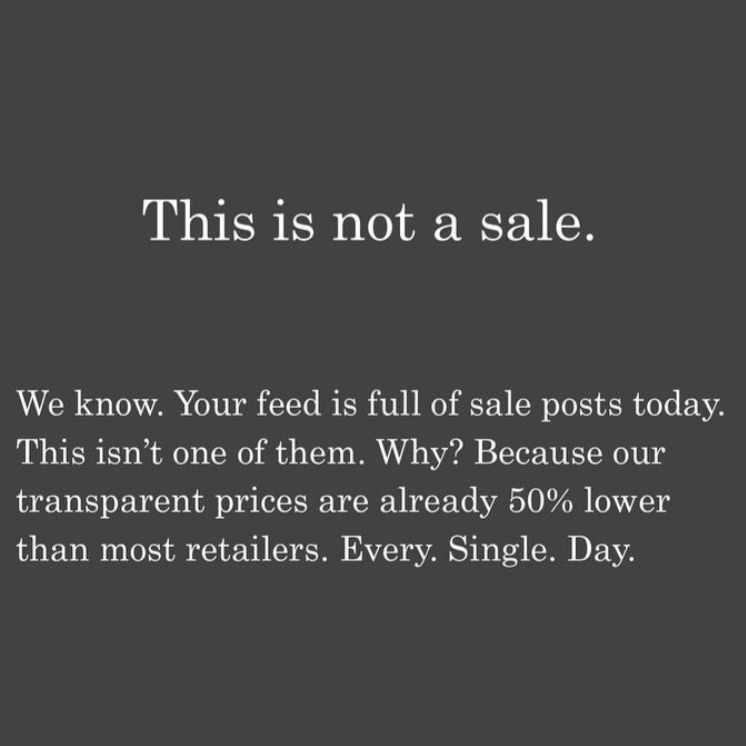 Everlane on Instagram Black Friday 2017. LUSH Cosmetics on Instagram Black Friday 2017. 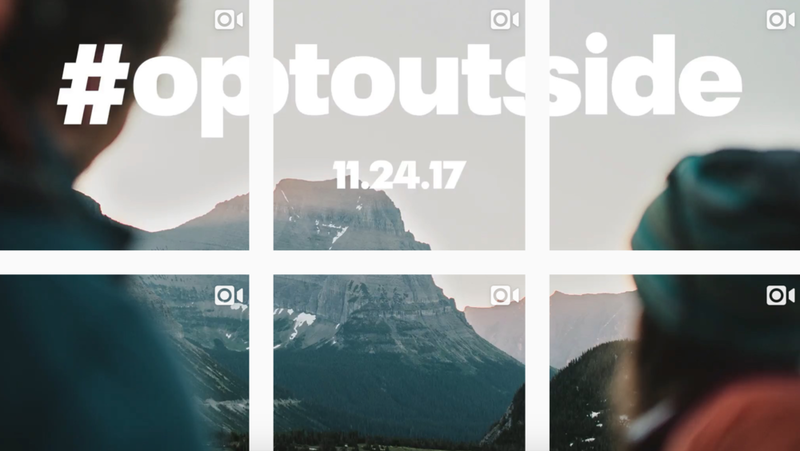 REI’s annual Opt Outside Black Friday Campaign as seen on their Instagram feed in 2017. Note- REI did participate in Cyber Monday 2018. Posted on Instagram 11/26/18, photo they posted was not high-res. Fat and the Moon’s take on BFCM: conscious consumption. No sale, just charitable giving (if only they specified the %). Posted on Instagram 11/22/18. 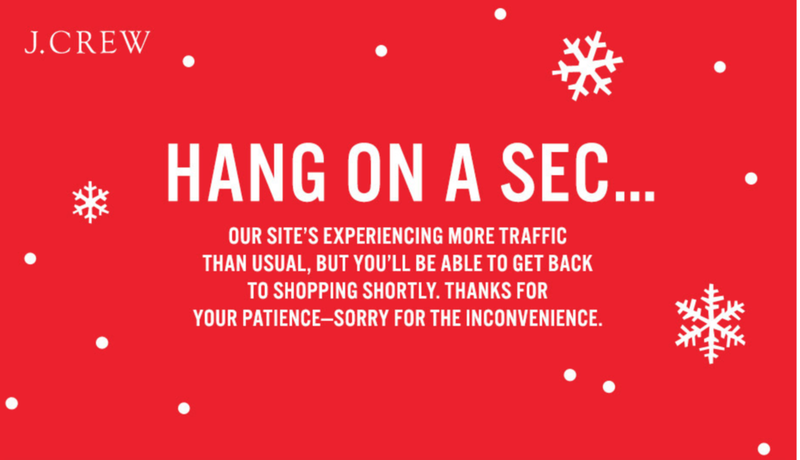 On Friday 11/23/18, J. Crew’s website started malfunctioning in the first hours of their 50% off sale. Eventually, their team put up this error message on the site. J. Crew posted an apology post on Instagram announcing that they were extending their sale until Monday. Whether J.Crew was originally planning on having their sale continue to Monday (pretty probable) or not, this was great customer-centric framing at a time when customers could be frustrated with their J.Crew shopping experience. On Shopify? Make sure your store is prepared with their 27-point check list. This article was updated throughout the 2018 BFCM weekend. Redundant and uninspired marketing campaigns created by normally talented creatives are rarely happenstance. So, what are companies doing to encourage a broad existence for their creatives? In my experience, most companies (whether agency or brand) not much. The same idiosyncrasies that made these employees sharp, innovative and desirable to employ are often dulled and pushed toward convention. Perpetual brainstorm sessions, decisions by committee, open offices, and aesthetically driven workplaces all contribute to this. The team is pushed toward sameness and the resulting work is almost always stale. The fiery and unabashed Basecamp founder David Heinemeier Hansson articulated this well in an interview on Chase Jarvis. Historically, company policies and work cultures have been dictated by the people that are not actually doing the creative heavy lifting. Extroverted executives in sales or management have trumpeted the collaborative value of the Foosball table or brainstorm sessions with no end time in sight. This is in direct contrast to how creatives usually get their best work done. As managers, we have the ability to encourage and retain creative work. In the field of marketing and advertising, market research and strategy will only get you so far. You need the uncanny ideas of the people designing the landings pages, writing your newsletter copy, and crafting your packaging. Below is a list of policies and systems that I have seen revitalize talented (and burned out) creatives in marketing teams. They can easily be incorporated into your workday piecemeal or all together for a nice creative shakedown. Reliable and consistent chunks of uninterrupted time 3-5 hours each day. I’ve found this works best if it becomes a company-wide policy, as the manager of the department then becomes the despised bouncer in the eyes of the rest of the office. You can easily start by incorporating it into your department first and then tracking the results of increased productivity or any other relevant KPI to present at the next department meeting. No matter how adamentally another manager may want their department’s time to be unstructured, it is hard to argue with increased and better output. Minimalist meetings of 3+ people. Only when absolutely necessary, best when kept to 30 minutes, or some tangible and timely limit to encourage conversational resourcefulness. Remote work built into weekly schedule. Perhaps half days in the office or 1-2 days a week OOO. This can also facilitate deep, uninterrupted work. Getting outside. Going to your local Creative Mornings, other local talks, galleries, pop-ups, etc. This keeps your team engaged in what other industries are doing, participating in a larger conversation and also provides them some monthly respite from the grind. Developing some sort of reward or bonus system for the team. This can be tricky and nuanced to set-up, but when done correctly, your team is incentivized for better performance. These bonus systems are typically reserved for sales teams, and can just as easily discourage marketing and design creatives, who see their hours of overtime and inspiration that went into the sales collateral, only contributing to that sales person’s disposable income. What can you base such a system off of? Depending on the deliverables of your team, most marketing efforts contribute to traffic, click-through, and conversions. Creating a monthly goal for a metric and then attaching a reward for the team (either experiential or monetary) can help fuel the long hours spent in the office during Black Friday. Here is the aforementioned interview, where Basecamp founder David Heinemeier Hansson delineates more attributes of successful work teams. If we want audacious thinkers, we need to create intentional environments that embrace policies and systems that push us beyond the status quo. Over the course of a weekend, a winery went from being a beloved LA-institution, frequented by locals and tourists alike, to being shamed, boycotted and vilified. What could possibly spur such a shift in consumer sentiment? Meet Stanley, Malibu Wine Safari’s de facto mascot and Instagram prop for most visitors. He even has his own Instagram account. 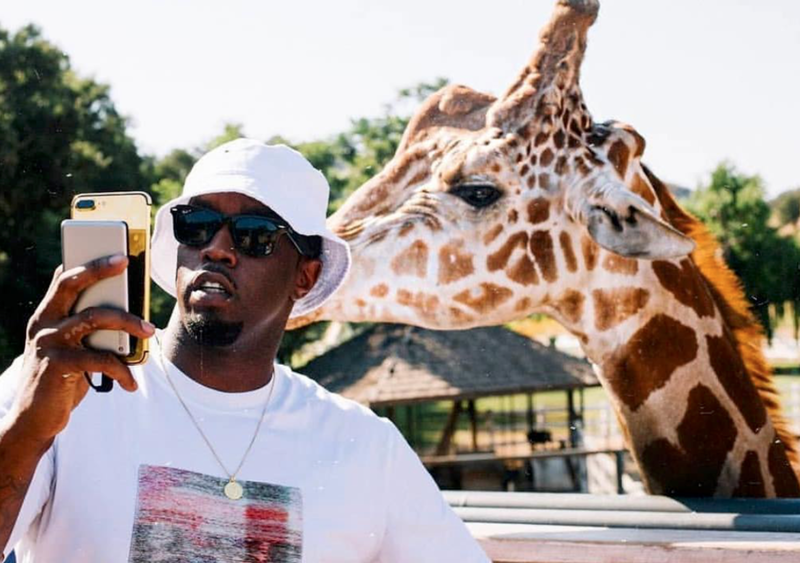 Concern for his safety arose during the horrendous 2018 California wildfires when Khloe Kardashian asserted that the winery did not evacuate Stanley or some of their other exotic animals on social media. Though Malibu Wines assured the public that Stanley was safe, pictures surfaced of Stanley in an encampment that had clearly made contact with fire. More celebrities jumped on the shame wagon and vehemently accused Malibu Wine Safari (MWS) of animal neglect and irresponsible emergency planning. Whitney Cummings, comedian and animal activist, was unquestionably the most vocal and visited the Winery amidst the fire to report on Stanley’s state and assist in evacuation. Her live reporting on the status of the winery and emotional slams to the company no doubt contributed to a wave of social media lashback to the brand. 2. Malibu Winery’s reputation was destroyed over possibly sensationalized rumors. While there is nothing better for a brand to do than have responsible emergency plans in place (in this case having an evacuation plan for it’s 80+ animals), what hurt the brand the most was their obvious lack of transparency. When MWS posted their first update on Stanley, after the safety accusations had circulated, they disabled comments. This was most likely a move to mitigate hate comments and trolling, but resulted in followers leaving horrible comments on prior posts with comments still enabled. No one likes to feel silenced, especially during a time of potential injustice, and disabling comments leaves the same taste in the mouth. While this could have been the death to MWS, following a trajectory similar to that of Sea World, their quick shift in strategy could help them survive. In the past 24 hours, MWS posted 22 images and videos of the property, animals, food, etc. and enabled comments on some of their posts. MWS also called out the support of the Wildlife Way Station and America’s Teaching Zoo. By embracing potentially excessive transparency and aligning themselves with animal welfare organizations, MWS may have a chance at improving their evacuation planning and putting this PR nightmare behind them. 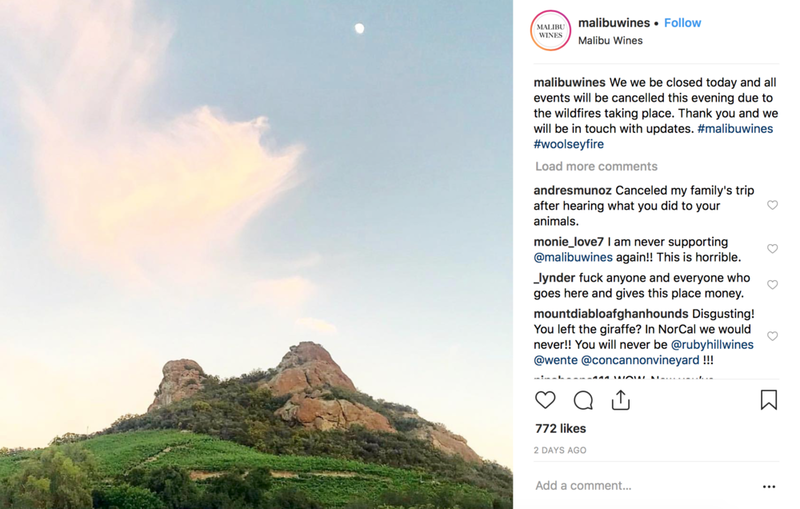 Malibu Wine Safari exemplifies that no brand is immune to or safe from public backlash. This is even the case if your brand is ‘innocent’ or ‘situationally misunderstood’. Jon Ronson writes about the outrage culture and its effects at length in his So You’ve Been Publicly Shamed. This should be mandatory reading for everyone that has a Twitter account. For brands, it is immensley important to have a plan for how to handle public backlash, so that you’re not groping in the dark trying to nullify the press, while also solving the emergency that caused the outrage. This article is a great common sense resource for companies to to consult before a crisis. If you’re in marketing, pause and read that article now. Above all, when caught in the crossfire, be transparent, be informative (not defensive) and humbly admit when you are wrong. We’ll continue to watch how Malibu Wine Safari continues to handle the literal and PR fire. Portion of Prana’s value proposition (under logo) featured on front cover of their 2018 Holiday catalog. Who Are You? A Guide to Constructing Your Value Proposition. What do you stand for? What does your brand bring to the table? In the sea of different options, what sets you apart from your competitors? In Seth Godin’s latest interview on Tim Ferriss’ podcast, he shared a template for brands to use in establishing their marketing promise, better known as a value proposition. Value propositions demonstrate the benefits you pass on to your targeted customer and secure your positioning in the competitive landscape. This is not necessarily something that needs to be overtly a part of a brand’s marketing outflow, but needs to be something that comes across to potential customers especially during their decision-making process. Godin’s approach is decidedly customer-centric and enables brands to focus on their smallest viable audiences, because almost ‘no successful product is launched to the masses’. His formula also homes in on the way your product or service will make the customer feel, by focusing on the self-actualizing need that the purchase is ultimately satisfying. My product is for people that believe ____. I’ll focus on people that want ____. I promise that engaging with what I make will help you get ____. This coincided with the value proposition template I learned while sitting in one of my branding classes at business school, from branding expert and professor, Ana Rumschisky. For those that appreciate a reliably delicious burger and fries, In-N-Out creates a respite for commuters by offering simple, pared down burgers made with high quality ingredients at every location, making customers feel at once triumphant, nostalgic, and satisfied. For the discerning home bodies that like to nest and thoughtfully curate their homes, SNOWE is resource that brings together luxury-quality home products at accessible prices, making you feel polished, at ease and excited to entertain. For the socially conscious consumer that takes pleasure in self care, LUSH Cosmetics creates fresh, handmade and ethically sourced products for your bath and body, making you feel pampered, ethical and a part of a movement. For those that want to live a life independent of rash decisions or unnecessary emotional turbulence, stoicism provides practical and clear methods to establish self control and emotional fortitude, allowing you to feel calm, focused and equipped to handle the ebbs and flows of life circumstance. At the end of the day, the rules of branding are similar to those of loyalty. When you are marketing to everyone, you are in fact, marketing to no one. At the root of every successful company is a clear value proposition, and inherent to that is a targeted audience. You cannot be aspirational, but also accessible; you must choose the ultimate benefit you are sharing with your core customer. Take the important time to be clear with your messaging, and your brand resonance should follow suit. So it’s time to make an automated confirmation email for new email subscribers. Or perhaps a seasonal revamp to keep communications fresh and on-brand. Either way, setting up this automation strategically can result in greater brand resonance with new customers and a higher conversion. In my experience, promo codes associated with a customer’s first purchase, delivered in a tasteful and on-brand subscription confirmation email, are the most lucrative promo codes for e-commerce businesses. Below I listed out some of my favorite welcome email templates. Though I do not work in-house with any of these companies, and therefore have no KPIs to demonstrate the emails’ effectiveness, I break down why these designs and communications appealed to me as a marketer and a consumer. How long or short should it be? What should the subject line say? Promo code or no promo code? What should the calls to action (CTA) be and which landing pages should they lead to? Let this be a guide for the different directions you can take for your welcome email. This is an arena where you can be playful, try different strategies, and tinker, but above all , stay true to your brand, highlight your value proposition, and be clear and actionable. Why it’s Featured: This email clearly explains Everlane value proposition (quality products sold transparently to consumers) through a cost-break down infographic and lifestyle shots of their products. Promo Code: $20 off first purchase of $100 or more sent in a separate email 6 days after email signup. Why It’s Featured: Outdoor Voices does a phenomenal job of incorporating a sense of community early in the customer journey. Before the subscriber even buys anything, you are welcomed to the team. The verbiage coupled with the diverse group of women cultivate a feeling of belonging and inclusivity which is compelling, but also risks potentially isolating their male customer base (which is admittedly smaller). That being said, this email was a result of subscribing via the OV site footer which does not specify gender preference. Their site subscription pop up does ask for birthday and gender and may provide a different male-oriented version of the newsletter for those that specify. Why It’s Featured: There is no need to create a lofty welcome email with excessive imagery and an editorial layout. Feedly mastered the art of the personalized email (one that is ‘from the Founder’ no less) and did a spectacular job of providing resources to new users (linking to an article on how to use the platform and providing a way for customers to receive immediate support). Providing directions and resources seems to be the #1 strategy for SaaS and tech companies. Offering a communication channel with one of the founders is also a great way of humanizing the brand and demonstrating that the founder proudly stands behind the product. CTA: This email has an undefined CTA. The majority of the email is linked to the homepage. Why It’s Featured: Along with the very deliberate design details, this email clearly narrates the brand history and paints a literal picture of what comprises the ‘Best Made World’. 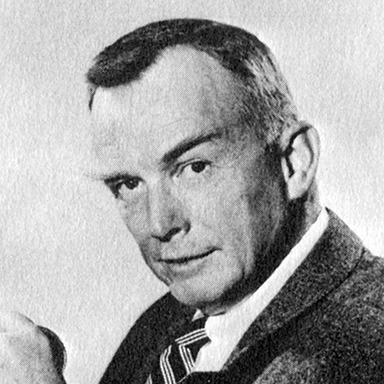 The brand story articulated by the founder creates a sense of nostalgia toward the brand for even new customers that have just been introduced to the brand. Very impressive. The imagery, letter copy, and ‘Courage!’ sign-off all contribute to the association between Best Made and unbridled adventure. In sum, this email is at once aspirational (‘I want to lead an adventurous life’) and rooted in their brand story and commitment to quality. Final Thought: I would be remiss if I did not mention that a more clear CTA may lead to better click-throughs and conversions for Best Made. Even adding a border to the promo code (signifying a clickable button) and linking to a specific landing page (not the home page) gives customers clear direction with how they can interact with the brand next. After distilling some of this email creative inspiration and crafting an email that is uniquely on-brand, how do you know if you’ve been successful? To see if your rates are considered ‘successful’ and bringing your brand engagement and return, these averages provide a good benchmark. Regardless of political leaning or slant, the 2018 Midterm election has garnered massive bipartisan press that has seeped into social media and the marketing campaigns of large companies. Over the past 2 months celebrities and influencers created election day hype and encouraged greater voter participation via social media. This is generally fantastic. Not only is voting socially responsible, but it is now cool, on-trend and with celebrity endorsement. 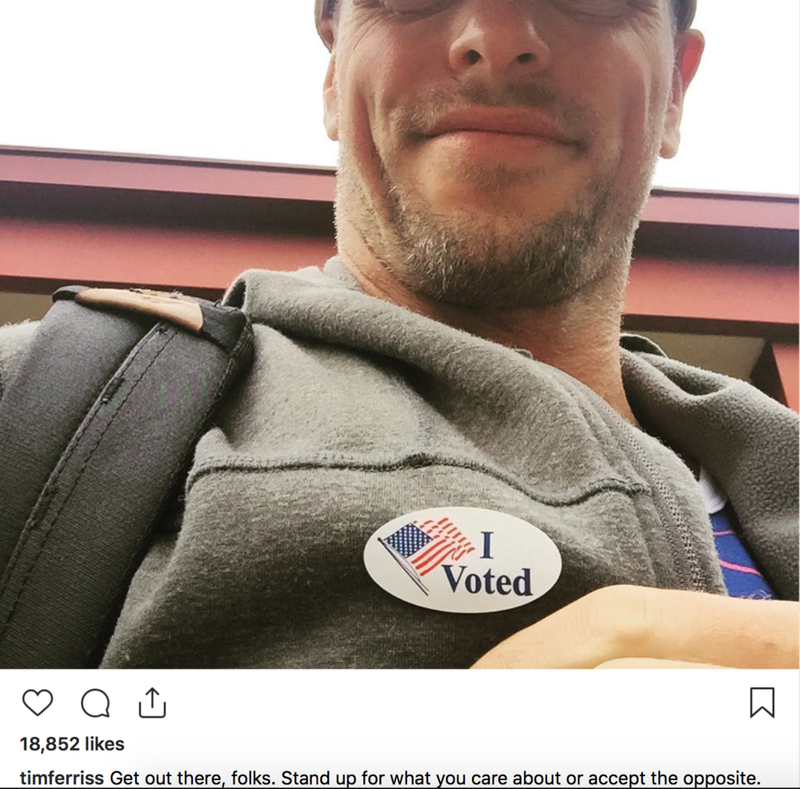 The election related social media buzz has also indirectly led to the question- have you really voted, if you haven’t yet posted an ‘I Voted’ selfie on Instagram? Selfies aside, I have been the most pleasantly surprised by brands and companies that employed creative marketing means to remind their customer base to hit the polls informed. Brands like Patagonia, Ballet Beautiful, and Snowe used marketing resources that would normally go toward product launches, holiday shopping preparations, and large ad campaigns, and instead put them toward the common good. To be clear, these brands did not use election day ploys to corral people into buying more of their product with discounts and promos to voters. Instead, these brands put serious resources that would normally go toward keeping the office lights on and put it toward creating newsletters, videos, website banners and landing pages aimed at getting people to the polls. Not only did these brands give a cause valuable real estate in their online presence, but they most likely made other sacrifices that would normally go unseen. Based on observation alone, brands had a decrease in social media likes on voting related content and most likely had a decrease in open rates for election-related newsletters and other outflow (it is hard to compete in an email mailbox with other brands starting holiday promos and sales). This would inevitably decrease the valuable KPI metrics the in-house marketing team is no doubt closely monitoring to measure their success and customer resonance. There is also the opportunity cost, or income a company could rely on with their ‘normal’ marketing content aimed at driving sales. Simply put, the election-related investment of these brands is objectively large and goes beyond posting voting selfies. Election Related Newsletters from Brands, Filtered by ‘vote’. This begs the question, why would companies do this? Why invest resources in marketing campaigns that will mostly likely not result in an increase in sales and potentially dilute other success-related metrics? At the end of the day, the aforementioned voting-related marketing campaigns are equally impressive and important. Some marketers, upon reading this, may question if they can afford to divert resources to these sorts of non-revenue-generating branding campaigns. Based on the data on current consumer behavior and shifts in brand loyalty, I’d argue brands can’t afford not to. As a marketer, I have a very nuanced relationship with influencers. On the one hand, creating relationships with influencers has been an immensely important part of my success as a marketer. It has expanded the once analog word-of-mouth channel and allowed people to share their favorite brands and products with their communities en masse. On the other hand, becoming an ‘influencer’ has become an odd aspiration that has deviated entirely from its original (and much more organic) concept and resulted in rampant imitation, self promotion and lack of authenticity. This is in contrast to the origins of influence. At one point being a tastemaker meant having a unique take on the world. However, our commercialization of social media (of which I am admittedly a part of as a marketer) has resulted in a sea of sameness. A quick scan on most Instagram feeds would result in seeing the same pouts, insertion of Outdoor Voices product placement and 90s hair clips. Girls in the same ‘undone’ beauty look with excessive Glossier, bike shorts that have never seen a proper bike seat and small pointed sunglasses. Boys in the same dad hats, wearing the same ironically tucked shirts and feigning a straight face. Influence, in our modern context, has become its own monster. An avenue of fame and free product versus a creative outlet for unique curators. Fashion is now formulaic. A perspective that has become iterative. What was once a method of finding esoteric designers has become the same influencers wearing the same brands posing in the same way and going to the same cities and shows. This has led to the growing distance between ‘influencers’ and ‘followers’. Inevitably, the influencer loses touch with their audience (or perhaps never had it). A beauty Youtuber starts partnering with dental companies and all discretion seems to be lost. Their posts become crowded with disgruntled comments on ‘selling out’, etc. Usually, this cycle negates any marketing hopes of bonding a brand with an influencer and having them casually share it with their like-minded followers who would also objectively benefit from using said product (the purest form of influencer marketing in my experience). I’ll concede that money has arguably the greatest influence. Once marketers spend their budgets intentionally, and support influencers that are actual tastemakers with a real perspective of the world and rooted connection with their communities, followers and brands alike will be content with the social media content. This is possible, but requires the discipline of everyone. Brands will be tempted to approach the influencer with an impressive amount of followers and a grid of posts with haphazard sponsored content. Or faced with a smaller budget, brands will be tempted to approach micro-influencers that are just mimicking the influencer algorithm (insert pout here, crop top there). Withstand the urge. Seek out the people that truly give a damn. Those that don’t follow the Instagram cliches and seem to lack discernment in fashion trends (and instead follow them all in hopes of gaining some ‘likes’). In the same vein, content creators would also benefit from steering clear of the influencer machine. There is no harm in making money from product placement and sponsored content. However curating paid partnerships in a thoughtful way and maintaining your point of view, will keep you connected to your community, which was perhaps the initial reasoning behind joining social media in the first place. There is no art in pure replication. No heart in recitation. And there should be no money in imitation. Desperately trying to shift down to an easier gear as you bike up a steep gravel hill, only to realize that you are already on the easiest gear. Boundary. Unrequited love, unanswered letters, rejection. Boundary. A flight delay on a really important business trip. Boundary. Confines lead to creation. Limitation breeds resilience to continue the grind or move on to the next. An informed boundary can beget informed freedom. You can’t go to an easier gear. You can’t make someone love you. You can’t make the plane take-off on time. But you can choose to push harder, reassess relationships and practice patience. There is a good fortune in realizing that life is not without boundaries, and seeing the possibilities that can arise when brushing up against a hard line.